Sacks Parente Golf Launches New Website ?? Created with the user experience in mind, the site includes features to help users to quickly and easily navigate the site and find the product and company information they need. Customers can select their putter and configure it to their specs including right or left-handed, flat, round or pistol grip, center or edge hosel position, and lengths from 33" – 35". Visitors can also find in-depth information about the company's founders, Steve Sacks and Rich Parente, who as entrepreneurs have founded, built and grown some of the best names in golf. "We are thrilled to debut our new website to our customers, golf professionals, media and visitors who are looking to better understand our innovative technology and products," said Tim Triplett, CEO of Sacks Parente Golf. "We believe that this new site will allow our visitors to have a very informative experience as we continue to grow and increase our market presence." The vision of Sacks Parente is to deliver the most scientifically perfect putters to help golfers make more putts. All Sacks Parente designs feature the company's patented Ultra Low Balance Point (ULBP) technology that lowers the balance point along the shaft between the sole and a point not more than 5 inches above the sole, causing the putter head to square and release at impact, delivering exceptional rollout and accuracy. "We launched our putter technology at the recent PGA Merchandise Show and were pleased with the tremendous response and interest our putters received," added Triplett. "Our new website will allow us to provide more detailed information to our visitors and keep the momentum going as we head into the 2019 golf season." 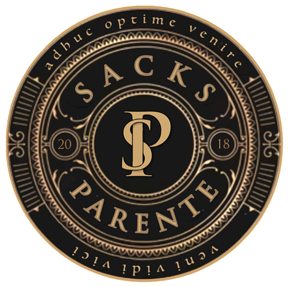 Sacks Parente's website will be updated on a regular basis with news of product launches, tour success, company news and events. Visitors are encouraged to explore the website at www.sacksparente.com. Sacks Parente Golf Company was founded by Steve Sacks and Richard Parente, a legendary duo of golf professionals, who as entrepreneurs have founded, built and grown some of the best names in golf. They have advised, consulted and designed clubs for the who's who of the industry over a combined 100+years. Sacks Parente Golf is based in Camarillo, California, in a facility that has been constructed with state-of-the-art robotics and analytic instruments to test and prove the science. The company is backed by sophisticated and strategic investors from the USA and Japan. Sacks Parente Golf is an NXV company.